Featuring two framed compartments and a clear center divider, use our Large Double Frame Clutch to organize smaller items inside your larger day bag, or carry it alone as a classic clutch. 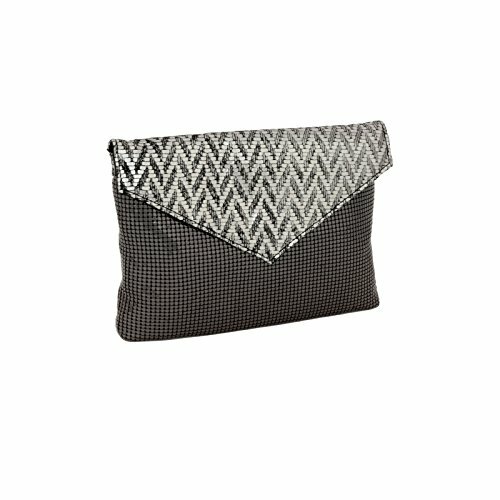 Its versatility makes it great for traveling - use it to hold cosmetics or travel items while on the go, then carry it as a clutch bag for evenings out. 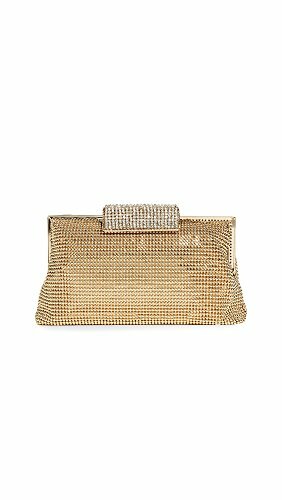 Chic and contemporary, this asymmetrical flap clutch is made of shiny brass mesh trimmed with light-catching high quality Japanese glass beads. 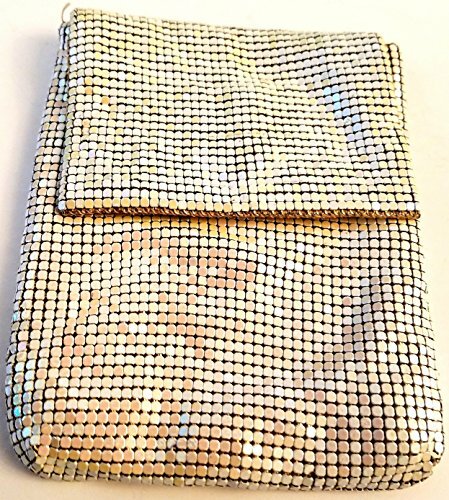 A perfect evening bag for special occasions such as weddings, galas and holiday parties, wear this metallic handbag as a stylish shoulder bag or remove the chain to carry it as a glamorous clutch. 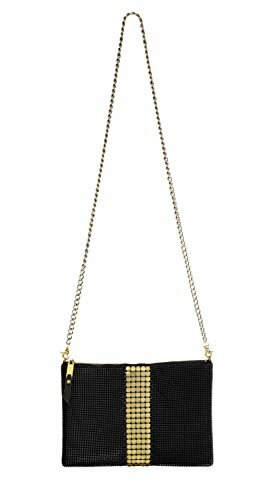 Our Brandy Crossbody Bag is made of pyramid mesh and oversized 8mm tiles for an edgy, rocker chic look. Accented with Italian lambskin leather, this stylish handbag can be worn day to evening as a contemporary crossbody bag or carried as a chic clutch. 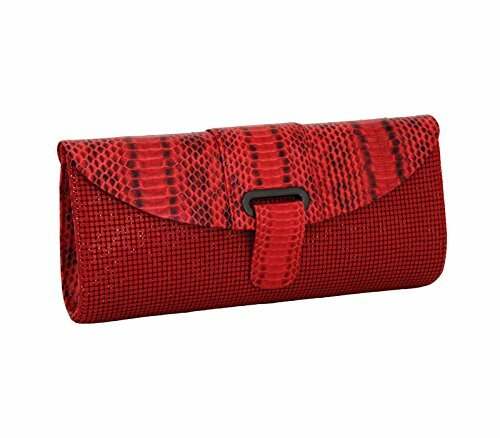 Made of genuine snake skin, the flap, closure and gusset of this gorgeous clutch perfectly compliment the custom color-matched enamel mesh. 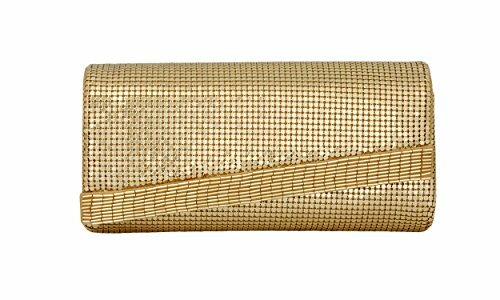 Made of shiny brass mesh accented with metallic weave print leather, our Weave Clutch is a glamorous yet versatile handbag that can be dressed up for special occasions or dressed down for casual evenings out. 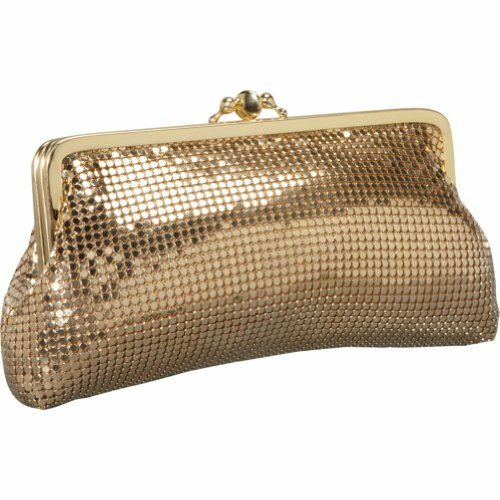 Wear it as a chic shoulder bag or remove the chain to carry it as an elegant metallic clutch. Made of brass dimple mesh with clear crystals. Fabric interior lining. Kiss lock closure. Interior zippered pocket. Shoulder chain with a 6" drop. 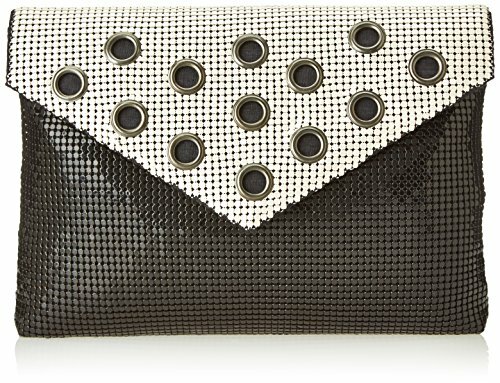 Two-tone metal mesh with grommet details brings glitz to a slim Whiting & Davis clutch. The magnetic flap opens to a faille-lined interior with a card pocket. Optional, flat chain handle. 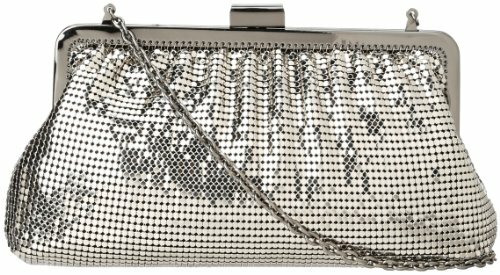 A metal-mesh bag is a glamorous complement to a night-out look. The short chain strap tucks inside when not in use. A top clasp with contrast crystals opens to the lined interior with 1 pocket. Dust bag included.